Once a year, parted lovers have a chance to rekindle past affairs by trekking through forests and mountains to reach the Khau Vai Love Market in Ha Giang Province to enjoy a brief reunion during which they share sweet memories, swap gifts, or simply stare at each other. Sometimes, they are accompanied by their spouses on a journey as wild as the terrain. The ‘market’ is in fact is a venue for former lovers to pour out their hearts. It takes place on the 26th and 27th of the third lunar month on top of a hill in Meo Vac District. The dates are chosen in honor of a legend about a couple who had to say goodbye a long time ago on the 27th as they belonged to hostile tribes. It is said that after death, this separated couple became fairies to help ex-lovers fulfill their hearts in this world. This year, the event took place on May 1-2 and memorable scenes were observed. Though Mr. Lau Chu Dinh is quite old and trudged wearily on, his mind is still fresh regarding an event 40 years ago when he met the girl of his dreams. However, destiny spelt otherwise and on this special day, he wished to see her again. “If I meet my girlfriend, I will play the “khen” for her”, he said. 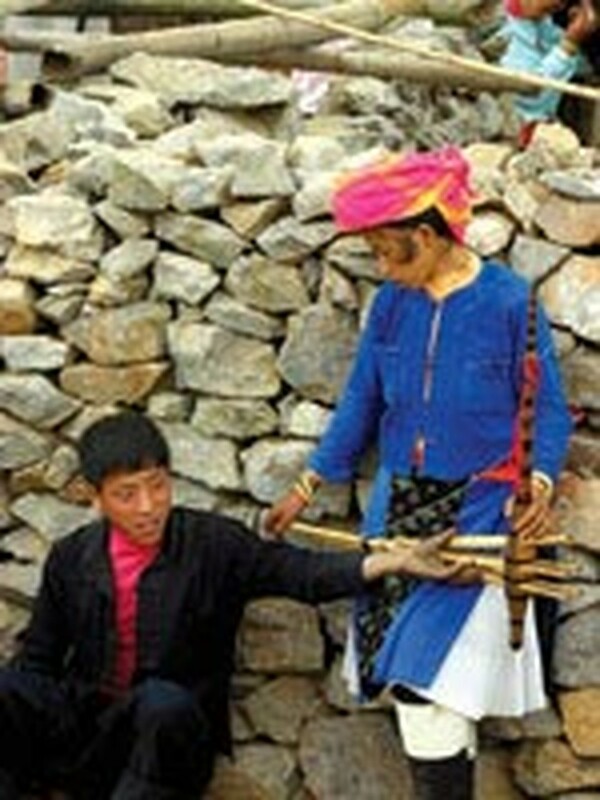 A khen is a wind instrument made of bamboo tubes. “Her legs must be weak like mine now, and she needs them to help her walk home through the mountains,” he said. Whenever he met a woman, he stared into her face with his tired but excited eyes and then, finding out she was not the one, walked on in disappointment. In a small tent downhill, six men were drinking. The oldest, Mr. Giang Mi Ho, 59, came hoping to see his lady of 43 years ago. His ‘girl’ must be white-haired by now. But in his words, she is young and naïve. Another participant, 38-year-old Mr. Vang Mi Ly said he met “this girl” when he was 16 and cried out for days when she married someone else. This morning they eventually met, but the two did not say a word. They merely looked at each other from a distance. Others were sitting by themselves, gazing into the distance. When asked if he met her, one man quietly nodded and continued his hazy look. As for the women, they mostly are not girls anymore. However, you can see the excitement in their eyes. Mrs. Nung Thi Phung, over 60 years old, has been traveling more than 20 km from neighboring Cao Bang province for this event during the past 40 years. When asked whether she saw her ‘boy’, she just blushed and turned away. Ms. Giang Thi Sung, also 60 odd years old, strolled around frantically, complained that “the market this year is too crowded and I could not find him. What I am worried about most is if something has happened to him”. 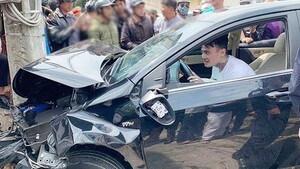 When the market concluded on May 2, an apparently drunk man staggered downhill, scolding an accompanying woman who later turned out to be his wife. However, every now and then, she gently patted his shoulder as if to say what is past is past. Although the market is famous as a venue for ex-lovers to warm up their hearts, it also has a reputation for chastity. Couples simply engage in friendly chats, swap gifts, and drink wine. Perhaps it is this purity that makes it so attractive and lovely.